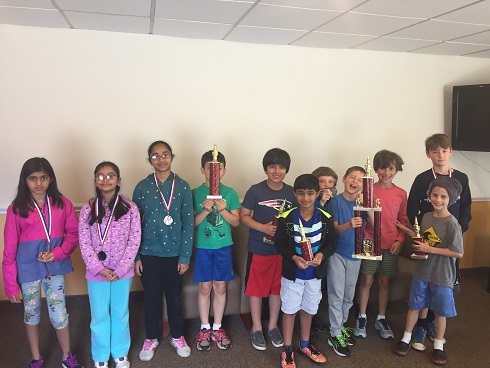 Twenty-two eager young players competed in our monthly K-12 Scholastic Championship. In the K-2 section, Nina Smith came in fifth, with a total of 1.5 points. 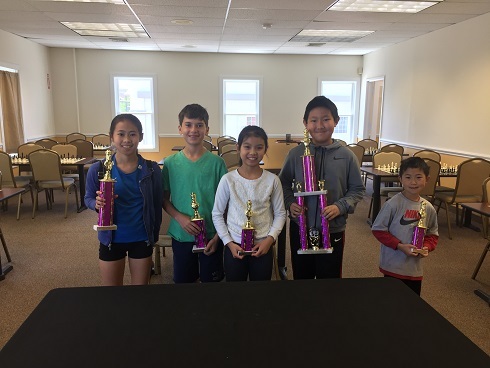 Brian Yee and Jasmine Theissen both had two points, which placed them in forth and fifth place, recpectively. Zihan Zhao was is second place, with 2.5 points. 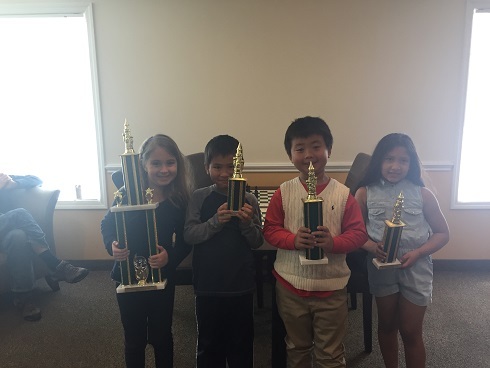 Annie Ulmer played a perfect tournament, wining all four of her games, and came in first. K-5 was our largest section with eleven players. Avery Back clinched fifth place, winning two of his four games. Sahil Vora and Arav Ramaswamy both had 2.5 points, placing them in fourth and third place. Max Ingargiola was in second place with 3 total points. Mikhail Bilokin played tremendously, winning all of his game, and coming in first place. 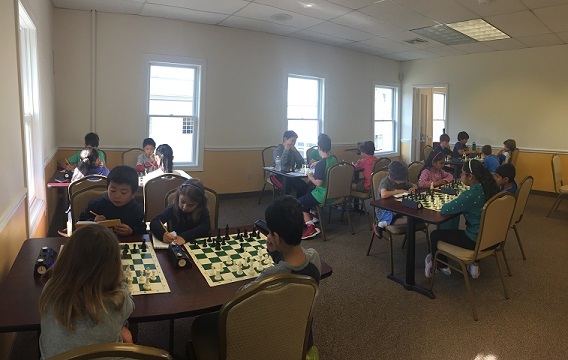 Finally, six players competed in our K-12 section. Adan Wang and Ann Wong, each with one point, came in fifth and fourth place. Nicholas Kurbanov and Mia Kai both won two of their cames, placing them in third and second place. Finally, Cayden Yang won all three of his games and came in first place. We want to thank all the parcipants for their effort and great sportsmanship. We hope to see you all again soon!